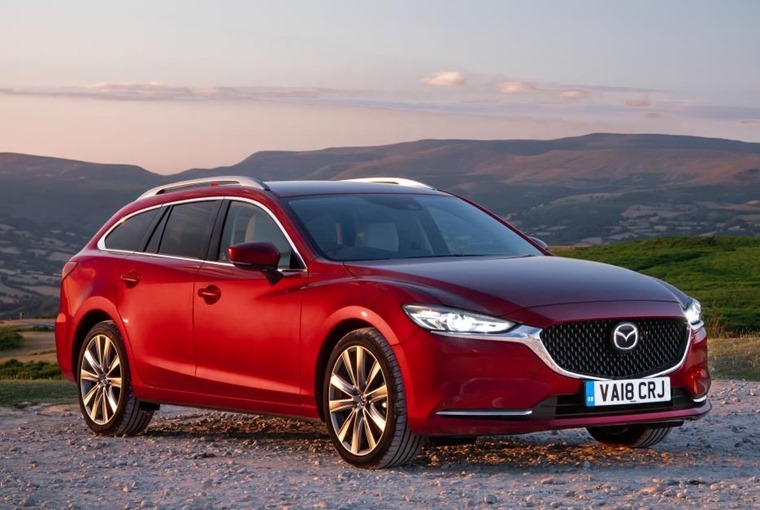 Mazda has announced UK pricing and specification for both the Saloon and Tourer versions of its flagship model, which will arrive in the UK this week. Priced from £23,195 to £33,585, the combined Tourer and Saloon range features 25 models across four trim levels: SE-L Nav+, SE-L LUX Nav+, Sport Nav+, GT Sport Nav+. Matched exclusively to the new range-topping GT Sport Nav+ trim, Mazda’s 2.5-litre SKYACTIV-G engine makes its UK debut in the new Mazda 6. With a cylinder deactivation system, this direct-injection four-cylinder engine seamlessly switches between four and two-cylinder operation to improve real-world fuel economy at no cost to performance. Featuring an upgraded cabin, revised styling and enhanced technology, the updated Mazda 6 also sees the popular Skyactiv-D 2.2-litre diesel engine benefit from a power upgrade to 184ps. In addition to the new 2.5-litre Skyactiv-G engine, which features cylinder deactivation that will switch off two cylinders between 25mph and 50mph to improve efficiency, the 2.0-litre engine has been enhanced with new intake ports, new pistons and revised fuel injection and cooling. 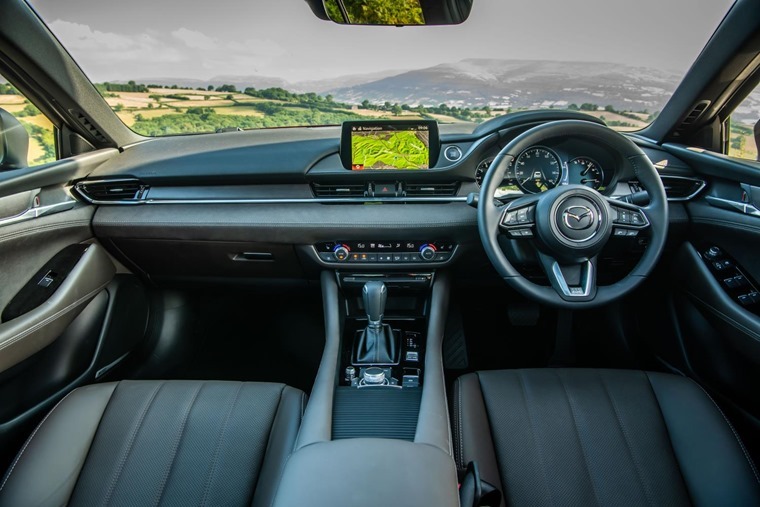 “With new powertrain technology, fresh premium design details inside and out, revised model grades and more standard technology, the new Mazda 6 is a thoroughly re-engineered and refined update of our stylish flagship,” commented Jeremy Thomson, managing director Mazda Motors UK. Stylistically, the 2018 Mazda 6 adopts a fresh frontal design focused around a new grille with revised LED headlamps integrating signature wing tips from the grille. With the front fog lights now incorporated into the headlight cluster, the redesigned lower bumper features a sleeker profile and an aerodynamically efficient air intake while at the rear, the saloon has a remodelled boot lid. 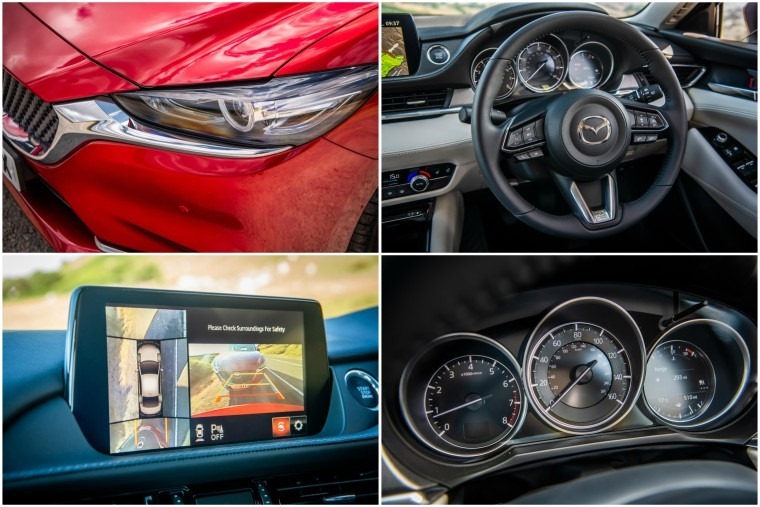 Step inside the new Mazda 6 and the updates are even more evident as the cabin design delivers an understated sense of luxury, including the introduction of a larger 8in centre display screen, a 7in TFT LCD positioned in the driver’s instrument binnacle and the adoption of a full colour windscreen projecting Active Driving Display. The dashboard and door trim designs have also been redesigned and seat comfort has been improved. As you’d expect for the flagship model, improved refinement has been a focus with the addition of thicker floor and rear wheel housing noise insulation panels, plus body reinforcement in places where vibration can penetrate the cabin. 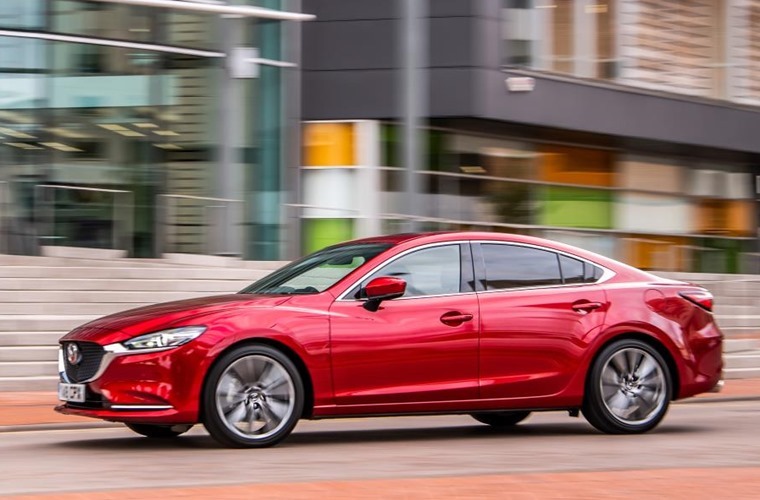 Designed to improve ride comfort at the same time as maintaining the Mazda 6’s famed driver engagement, it also benefits from suspension fine tuning and component upgrades resulting in smoother vehicle behaviour. 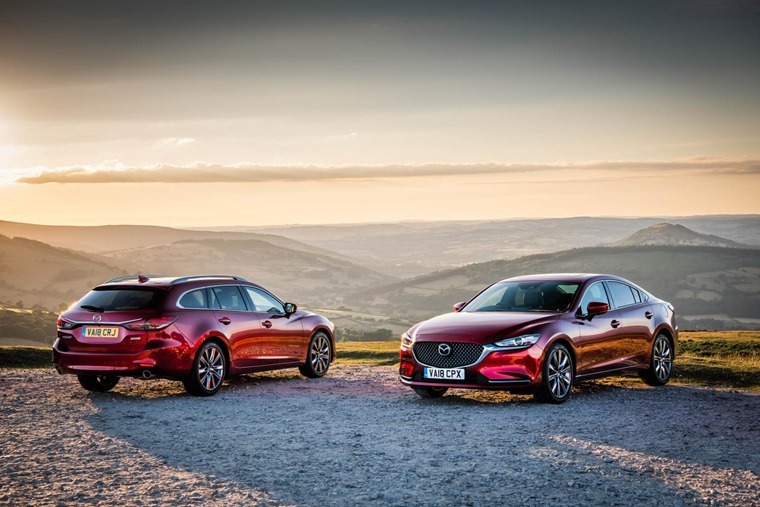 “The new Mazda 6 is another example of Mazda’s continued drive to deliver stylish, great to drive, high-quality cars that offer a unique form of Japanese inspired style and elegance. 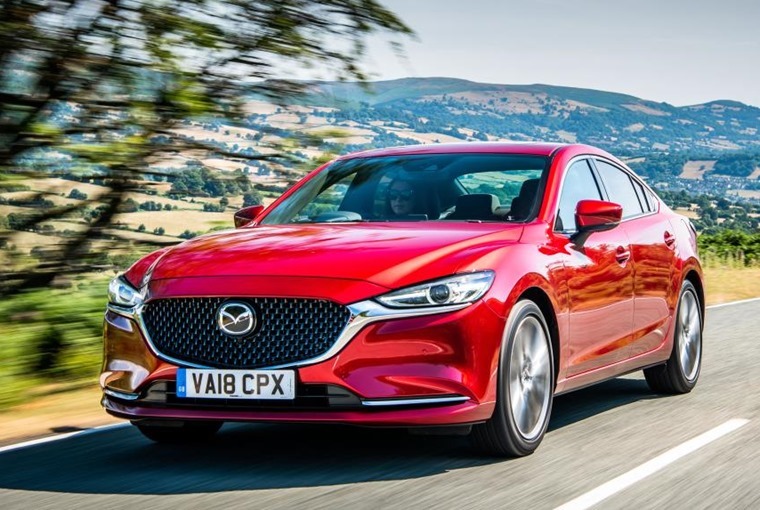 “With more technology and equipment than ever before, plus upgrades to engines and refinement I’m sure the Mazda 6 will be more popular than ever with both fleet and retail customers,” commented Peter Allibon, sales director, Mazda Motors UK.